Blackmagic Forum • View topic - Is 8K ok? And how much better is 8k going to look than this? I'm going to make a petition to force car manufacturers to make our windows roll down faster. How fast do you need your windows to roll down? Que Thompson wrote: Come on guys... $1295!!!! Sometimes I think people forget that part. Rakesh Malik wrote: Look deeper. As in, at the workflow. The Braw workflow is nearly identical to the Redcode workflow. This is a good thing. It's been a selling point for Red for quite a while. Well, it's not when you're working on a laptop (i7-8550u+GTX1060), you can't run 4.5k 3:1 FF R3D where you can run 4.6k 3:1 FF BRAW or 4.5k 3:1 CineformRAW at full quality settings in resolve in realtime at 24fps. R3D has a good compression but the CPU resources you need to de-crypt/compress/code are just to much. MishaEngel wrote: Well, it's not when you're working on a laptop (i7-8550u+GTX1060), you can't run 4.5k 3:1 FF R3D where you can run 4.6k 3:1 FF BRAW or 4.5k 3:1 CineformRAW at full quality settings in resolve in realtime at 24fps. Que Thompson wrote: And how much better is 8k going to look than this? Not much, until you decide that it would be nice to get in tighter on her face, and go to a close up. Kays, if you want 8K to get closer to her face than what you see at 1:15 of that video, you must be... a dentist! rick.lang wrote: Kays, if you want 8K to get closer to her face than what you see at 1:15 of that video, you must be... a dentist! Yeah. The author said he used "Face Refinement" and "Beauty" in Resolve also, so there was more detail there to begin with. I think so, first you had CineformRAW, then R3D and X-OCN and now ProResRAW and BRAW. BRAW, X-CON and R3D give a SDK. All RAW codecs are compressed and low on CPU resources except R3D. Wayne Steven wrote: They have steadily increased image quality and dynamic range at the same time as pixel counts, in a high speed process (no Canoning around). Red have yet to reach the dynamic range and color response in the shadows that Alexa has been delivering since 2010. There's a reason Alexa is the camera on which most Emmy and Oscar winning content is shot. Those cinematographers can shoot on any camera they like, and a majority of them consistently choose Alexa (when they're aren't shooting on film). Their choices are made for good reasons that go far beyond a simplistic K count and have a lot more weight than spec sheets and marketing hype. Whoo, whoo, I would not say that, too far, Alexa isn't magic. Sure, it has an advantage, but I wouldn't say in dynamic range. Don't get carried away with A (rather than "K") hype and group think. I would question some of that supposed advantage, as much as boosting satuates makes great hype rather than quality. With the increased quality you see this in say, Mark Toia's promotional reel for the helium. Alexa was great for it's time, you can see me here advocating BM should do a Alexa like sensor as a minimum to compete, and they did! But, that's a minimum. That's why they like it, it was out there past the crap, looking like film, in a reliable camera serviced by a professional experienced cinema camera company. No niavity, that's how it works. You have a reliable product that meets some biased expectation of what film should look like, of course film buffs are going to go for it, and establishing itself as the normal, still keep going for it when outdated. It proves nothing, about what is best, or the future, it is the present past, and not a maximum, far from. It, and Red is moving closer these days. Was just commenting on the still image to make a point. At the moment the main reason to record higher than 4K would be for reframing in post which I'm definitely guilty of. It's not being unprofessional, it's just that a film's narrative evolves during the editing process, and sometimes no matter how well planned the shoot was, you discover that a different approach is needed with a particular scene. On a related note, I firmly believe that within the next 10 years resolution as we understand it will be gone. There are some pretty impressive technologies in the works that I think will allow to shoot at an unspecified resolution, and then to decide the final output resolution in post with no discernible loss of quality. It's coming! The idea of reframing in post is nice in theory, but any more than a few percent and you start to see other problems. I was on a show that shot RED and the editors went crazy with post zooms and re-frames. 200 and 400% blow ups, which you CAN do..but.. This often touted advantage which is really arguably a "just in case" scenario means a GIGANTIC overhead and is frankly usually lazy and disrespectful to the careful composition of the DP and director on the day. Maybe just get it right in the first place ? It's a huge premium to pay for just in case (the workflow of carrying 8K files around) to be able to just in case do a re-frame ? With an under $10k workstation you can handle this in realtime in resolve. With the new upcoming CPU's and GPU's from AMD (jan. 2019) you can handle these kinds of workloads in 8k with a workstation below $5k. Kays Alatrakchi wrote: Not much, until you decide that it would be nice to get in tighter on her face, and go to a close up. This happened recently on a project shot with 8K RED. They wanted an extreme close that wasn't in the boards, so we punched in 400% or so on another shot. It looked bad and didn't match the rest of the footage, even in an HD export. I call it reframing from an oversample 2K 16:9 capture when I change the X,Y origin on a HD timeline from Centred to some other value like 30,-20 which doesn’t rescale the image, just changes the framing. That’s a safe approach rather than upscaling in a blowup. It's a matter of doing it right. If you are going blow up a 2k portion of an 8k image, you should expect a little decrease in quality compared to a 8k downsized. If you pick out 1k instead you had better do good heavy upscaling, and then it may likely still look worse again. You need heavy processing to accommodate for artifacts, but in the history of movies on film, you see mismatches where they try to get something. That's not new, but you shouldn't expect too much, and stick to a quality extracted frame resolution. Now, if it's out of focus (not the idea on how to use it) again, heavy processing, but with all these things you need software that supports good quality in these techniques. So, the focus can be accommodated in good computational photography. But in using multipoint computational photography, you want very little out of focus, and use the multi-aspects frames to calculate focus and bokeh desired. In this, the spacing of the samples plays a part. 65mm spacing gives a wider angle of focus data, for a bit more quality. Quality is often a bit more, so don't expect overwhelming differences going with 8k to 4k, 8k is just an option, like styles are. Another thing here, is tracking frame during movement, again, computational photography can adjust the motion blur and detail. This is a future. As far as arbitrarily adjusting target resolution, that can be tricky for reasons stated above. But with responsible moderated use you can get good results. But use of Bayer and other such filtered sensors, can fight you. People ask how you going keep things in focus on 8k, through the above multipoint computational photography techniques, you refocus, reframe, map in 3D and reorient the image a little, and post adjust aperture, dynamic range shutter and lighting. You quickly pull these things on set as a guide to the style you want, and nail them afterwards. This is a future of filming resolve should heavily explore for quality. BM could male a micro now with a Sony 8k chip and 4x4k multipoint lens option. That should be popular with VR and drone people too, and maybe advertisers, to extract 3D and 3D depth data from, even in h265 (1-4 ambarella chips in parrallel maybe for extra datarate).. The pickup doesn't need much extra processing power, that comes in post). An 8k version of video assist with raw recording and a $100-$200 8k 1/2 inch Sony 8k camera head (can sell lots of those to mount around on set and action as product on its own) with mountable multipoint lens, could do this. Old 8k camera footage. That's a generation or two old. Maybe the vimeo version is a little better to look at though. Put's the Alexa to shame. I'm thinking what I am seeing on Alexa is a thick layer of style, sort of what fullhd small sensor prosumer and pro television cameras do for digital television, where as here, I'm seeing subtlety in the image, but I don't know, I have to examine it. Just thinking briefly about this yesterday or today. What do you guys think? Has the 4.6k a bit more subtlety then the Alexa? 8k camera phone coming January. Sony seems to think 8k is OK. Releasing 8k laser projector, processing solution and camcorder at Ces. I was suspecting this late this year or Ces next year. The latest noise, courtesy of Sony Alpha Rumors, indicates that Sony's lineup will comprise an 8K television, 8K laser projector, 8K processing platform and an 8K camcorder and or 8K camera – though it's unclear whether or not this will be an E-mount system (traditionally Sony doesn't announce E-mount kit at CES). Wayne Steven wrote: Yeah, sure. We are going pay $17 to go to a cinema and watch a movie on a smart phone. None of those arguments hold out. Just because people watch things like YouTube, news, television on a smart phone, doesn't mean they prefer to watch everything low quality. If there is no option but .... then what's the point. There is different quality levels for preference for a reason, and people do comment that 8k just looks a lot clearer than 4k. It's all bogus nonsense to complain about improvements people can see, as invalid options. Some people will benefit and like it. People say they still use low resolution Alexa, in the same way as people with crusty vision thought lower resolution was good enough, and stubborn stuck in the muds stuck to film. All were proven wrong, and held back the ART with their whining and complaining about what is better. They don't need, they need to retire. - A lot of people get their daily dose of entertainment in SD and does not care about it. - Monetary investment does not stop at filming/editing hardware, also sets, makeup etc have to be better. Its far beyond me why indie filmakers shoot themself in the foot by trying to to actually outrun big projects on the resolution level. There are many answers Chris. 4k bandwidth is not much. I guess you aren't in Australia. But a number could afford broadband enough for 4k Netflix. The problem with quality, is being sold the extra quality instead of just going along with what rubbish is being forced on you. So, yeah, people can benefit from FullHD today, and even 4k in appropriately seated position. Tomorrow TV's can be bigger, and 4k and 8k will be better by the time today's blockbuster production is finished. Get a headset and get it today for very little. I know a company which had 16k headset projection chips I wanted to use like 3+ years ago, probably higher now, in VR you might want 24k. If your footage is sold for or viewed for 10 years, like wedding footage, yes they can get benefit when they can afford it. Years age, I identified and investigated doing a design that stitched normal TV's together into a Samsung wall tv like product without the hassle and cost. So, 8k can be done now for $1000. $2000 professional pocket camera could be done. My own TV design proposal was aimed at hundreds of dollers, 4k and 8k (it's cheap, and hopefully post hdr QD rec2100 territory). So, yes 8k is a sellable more expensive option. But what should you use for an low cost indie, considering things are changing up, 2k-4k. Yes, the fifth element sets stuck out on a modern bright tv, but that hasn't stopped the industry from advancing from Charlie Chaplin black and white short films to better and better quality in order to satisfy audiences with something better. So, what will you do when people prefer to watch on a FullHD+ TV and the TV industry goes FullHD+ and stops forcing their crap more channels in SD is better rubbish down consumers throats. And that is it, it is the industry forcing low quality on people which people are defending, not so much forcing quality. Again, how many cinemas make a living forcing people to pay full price to watch the film on their mobiles? How many people pay that much to consume that way? Now, how to film. Get a better camera and lighting, then you need less makeup to compensate. Use natural as is sets, or do them well, so they look normal to your eyes in different lighting, and normal to a good camera (I suggest the pockets). Use good post processing and onset focus tools to nail it. Deliver in 2k-4k and use 4k-8k downscaling and reframing. Use the latest hardware and software so you spend a lot less on hardware. We are moving to a point that a cheap midrange card could process 4k-8k. Save $5k-$15k on the system. Think new and what can be done cheaper, rather than old costly. When a good multipoint camera comes out (red is working on one for it's phone, Nokia has something maybe with the light company coming in a phone) and you have the right software, you can post focus, light, aperture, bokeh, zoom, reframe, track even and maybe not have to spend anymore time doing it on set than with a sd camera. So, it is coming. But now, get a pocket 2k or 4k and just do it rather than worry about 720p fur anything serious. Even that 8k phone or Sony 8k camcorder I posted about, if you aren't so serious about a production. It would seem the acquisition tools can make improvements in various areas and that’s quite necessary before the processing tools can begin to play catch up and that’s long before the consumption tools will move a generation or two ahead. No problem with beating the drum and everything out there can undergo revolutionary change as it becomes feasible, but our eyes don’t change for the better (they only reduce their capabilities over time subject to evolutionary change). Sincerely bring on your 8K vision (48 megapixel images) which may morph to 16K, but in a global scale the average screen viewing your content is likely still below 2K for several years to come whether that screen be an SD television or a smartphone, the average viewing experience today is clearly below 2K. It may be feasible to bump that higher for niche markets like Japan and South Korea, but their markets’ viewer experience barely shifts the dial. Delivery technologies such as 5G and fibre optics help, but don’t lose sight of the present day realities around the globe and the limitations of our final destination: our eyes. Wanted to post this about how uprezzing is likely the technology to watch in the future. Resolve 15.2 does bring this somewhat closer to reality with new scaling algorithms, but the one shown in this video is even better. Rick. It's not about us so much, but about the wider viewing audience. It's also not about what we view now, or faulty stats on average veiwing off market from the content people pay a lot for, it's about how people choose to watch content they pay more for in the lifetime of our footage. Business. From when it releases till when it stops selling till even when it stops being watched. But, it is about options and quality options people pay for. Let's say over 50% of the audience can see 4k, and over 24% can see 8k (even more if they all had the right glasses). A good portion are young people. Let's say even more perceive some better clarity to the scenes. That's a lot of audience to chuck to the side on dreams of poorer quality (not that 8k over 4k matters too much). Kay's, that guy was a lot of wow wee I'm impressed sort of thing. Another sprooker that is impressed but doesn't really understand what's past it, behind it. I did like the dog one though. In my own 3D motion capture technology proposal, I worked out that I could tell where the skeleton was in a body just from the video footage many years back (no silly inefficient complex AI involved). Seems they are onto.this too. But you notice the neck skeleton is straight through at an odd placement, treating the neck like a giant mane. Thanks for that. As dismaying as it is, it's kind of exciting to see others finally catching up. Uprezing single frames (look up fractal uprezing too from the late 80's early 90's, which would add detail) is not generally sufficient. I actually use my own forms in my technology proposals for many years, predating probably all this stuff. Size I have an understanding of the limitations, and hiw better to do it. Put it this way, if I down scaled a complex unknown image to a single pixel, would you be able to uprez it (it's possible, but requires time travel or other source image, so we won't go there)? Of course not, normally. So, the further the bigger the difference between to resolutions the less data you have per pixel to restore things. So, you retain less detail that was there. So, 2k to 4k, especially with lossless video, you might not be too bad, and you can work out certain details on the pixel boundaries, and lines of detail moving across pixels, like the marveling effect, edge of the table, and smooth them out in higher resolution, and pretty much ramp from one pixel value to.the next. But going from SD to 4k, even to 2k, you are going to struggle. Now, fractal compression found the mathematical routines making estimations of the sub pixel details (even if wrong it looked cool) from liky the behaviour mapped in what could be seen and sub pixel behaviour which could produce the pixel effects. Which is another layer you could use, but you still should have dataloss on complex scenes. I've got a much better way to use, but that's confidential. However, you could store image data as mathematical functions, without resolution, and get interesting results. I thought that, and holographic, might have been what you meant, though I don't know if anybody who has ever proposed it, I just knew that would be a way it could be done well it mimics one of my own technology proposals, which wasn't aimed at detail preservation). So, a lot of this is not going get a among results as good as original resolution. We have seen examples of uprezzing (if that a word) or upscaling that appears to produce acceptable results for some subjects including typical narrative scenes. But the danger of creating detail that never existed in complex scenes must be a concern. When people talk about creating artificial actors (if that’s the right term), I wonder if the emotional connection an audience has with characters suffers. The upscaling may subliminally begin that slippery slope of unintended detachment of the audience from the characters. Nothing they may be able to put their finger on but a distant sense of artificiality of the protagonists. This doesn’t happen in a movie like Bambi because we accept each drawn character as there is no deception. But upscaling more than 1x might feel a bit unreal when we want everything to seem real. I've some theoretical AI design since primary school. My theories have proven to be correct. I think it can be done, but who's going do it. Without the right thoughts it could take decades. With the right team, years. There is a lot of eb and flow in such natural systems, but you land up with people unnaturally reusing the eb and flow and limited subsets to emulate it. If you look in a game you might see the character wave about a little standing, and they do it rigidly, and then keep repeating it over and over again, which is an animation meme, wobbling around. A lot of the stuff on this sphere that I propose has to do with emulation. You do enough precision to make it realistic then emulate the final bit to save most of the work on that last bit. The emulation of the last bit, or much of it, saves the cycles because that is where most of the work is and less visual result (like with visually lossless used in cinemas). It's sort of like the 2k, 4k of the 8k world, except its hard to emulate between 2k to 8k unnoticed, maybe. Last edited by Wayne Steven on Tue Dec 11, 2018 12:57 am, edited 1 time in total. John Brawley wrote: This often touted advantage which is really arguably a "just in case" scenario means a GIGANTIC overhead and is frankly usually lazy and disrespectful to the careful composition of the DP and director on the day. Exactly... why hire a talented cinematographer if you're just going to ruin half of his/her shots in post by reframing them? MishaEngel wrote: I think so, first you had CineformRAW, then R3D and X-OCN and now ProResRAW and BRAW. Have you ever stopped to think about how any of what you're describing relates to "workflow" in filmmaking? When you consider comparable resolutions, Redcode is actually not that much heavier than X-OCN and XAVC as long as you have a decent GPU. It's not really until you get to 6K or more that Redcode starts bogging machines down more than any of the other raw codecs out there -- braw in particular being the exception here, because BMD did some pretty impressive engineering there... but still followed Red's example when it comes to workflow. We already have a good baseline resolution: FHD, beyond which most people can't distinguish anyway, at typical viewing distances. And what exactly is gained from uprezzing dramatic material, unless you sell TV sets for a living? All this enormous investment in ever higher resolutions, without an ounce of evidence that increasing the number of lines is good or even desirable for storytelling, and without any consumer demand which precedes the marketing campaigns. Funny to think the typical 35mm theater was lucky to project 800 lines. OTOH, Red would love to convince you that you simply must "future proof" your masterworks and nothing less than 8K will do. But for what audience, they don't say. The GPU is not the problem, the CPU power needed for REDCODE is the problem, hence the collaboration between RED and NVidia to handle the de-crypte/compress/code over to the GPU instead of the CPU. For a start Adobe and NVidia only. But who cares when you can get a CPU for around $500 in the very near future that can handle every REDCODE you throw at it. Rakesh Malik wrote: Exactly... why hire a talented cinematographer if you're just going to ruin half of his/her shots in post by reframing them? You'd be surprised. I've been around enough directors who get to post with a negative experience with a very high-end DP, and who feel like they now have an opportunity to "fix" the film. Not a good situation for sure, but it does happen. John Paines wrote: Funny to think the typical 35mm theater was lucky to project 800 lines. OTOH, Red would love to convince you that you simply must "future proof" your masterworks and nothing less than 8K will do. But for what audience, they don't say. I agree with this... especially since theaters are still mostly 2K, and their digital IMAX screens are mostly showing 2K content uprezzed to 4K. For me the main selling point for a 4K TV is that it will also be an HDR set that can show true black... but most of the content available will still be 2K. Even though I'm USING 8K on an 8K Red, it's not the resolution that's the winner for me or the folks that I shoot for. The don't really care about that all that much, partly because the more talented of them are not fans of having the editor ruin shots with reframing. What sells my clients is the color. They don't generally know what "dynamic range" even means, so I don't tend to worry about trying to explain that to them; I just show them the images. The dynamic range and sensitivity makes things easier (I need less light to flood a space than with a less sensitive camera, for example) and it's rare enough for highlights to clip that I can just focus on keeping skin tones consistent and not worry about the highlights most of the time. It makes lighting easier. But almost all of that applies pretty much equally to a BMD 4.6K camera, and to only a slightly lesser extent (not quite as much dynamic range) to the Pocket 4K. But the difference is pretty small from what I've seen of Pocket4K footage, though I haven't had a chance to try one out myself yet. Having had a couple of editors ruin a bunch of shots by reframing though, I actually find that having enough resolution to reframe isn't nearly as much of an advantage as it might sound... in fact, it's often the opposite. But it's probably also another incentive for cinematographers to choose Alexas over higher resolution cameras of any kind, ironically. Rakesh Malik wrote: Having had a couple of editors ruin a bunch of shots by reframing though, I actually find that having enough resolution to reframe isn't nearly as much of an advantage as it might sound... in fact, it's often the opposite. David Fincher is said to be great proponent re-framing, and maybe it is with the right preparation, but trying to salvage a bad shot, or pick up a shot which isn't there, never seems to work. It's always jarring, you're introducing a new and unnatural focal length. General audiences probably wouldn't notice, but when you know, it's disturbing. 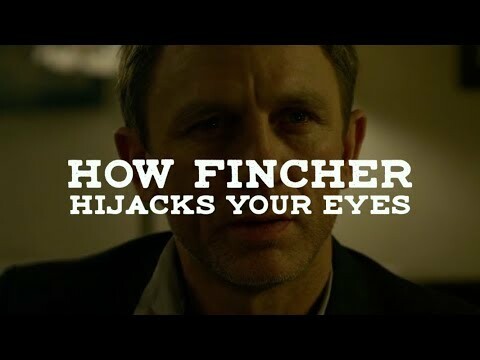 John Paines wrote: David Fincher is said to be great proponent re-framing, and maybe it is with the right preparation, but trying to salvage a bad shot, or pick up a shot which isn't there, never seems to work. It does seem like his approach to reframing is planned, but as far as I can tell he's a rarity at his level. It's always jarring, you're introducing a new and unnatural focal length. General audiences probably wouldn't notice, but when you know, it's disturbing. And it usually also hoses the framing. A good cinematographer designs a frame to enhance the story + emotion + acting, not just to capture the action. Changing the frame ruins that more often than not. "The Social Network was the beginning of the “shoot for more resolution than you need extraction technique.” The Social Network was shot in 4.5K (4480×1920), had a 2.3K DI and was released in 2K (2048×1080), so Fincher had 9% extra resolution: 200 extra pixels horizontally and vertically to do stabilization, repositioning, tracking and split screen." Note here that his extraction method is pre-planned, exactly the same for every shot, and it is less than 10% of the frame. It's not done to salvage bad shots, or create new shots that the DP never intended on set. 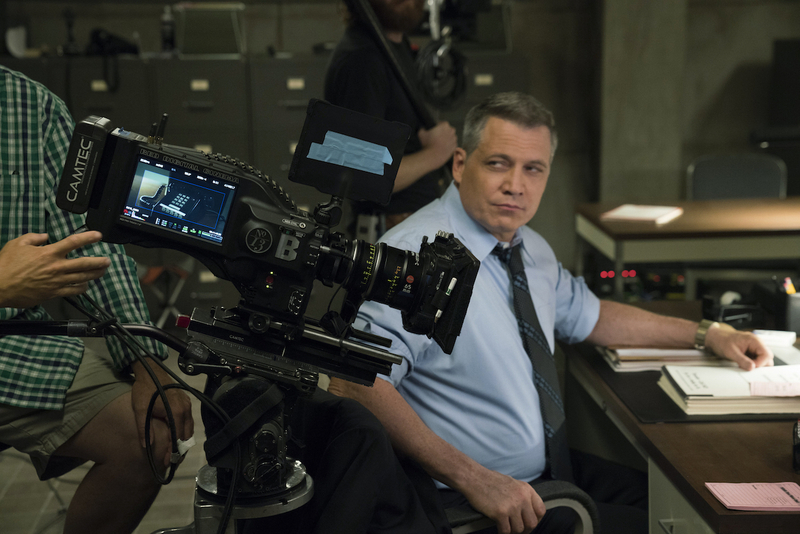 Exactly - and Fincher shoots in 6k (at least for Mindhunters). Even James Cameron is shooting the Avatar sequels in 6k using the Sony VENICE. michaeldhead wrote: Exactly - and Fincher shoots in 6k (at least for Mindhunters). Even James Cameron is shooting the Avatar sequels in 6k using the Sony VENICE. And how many K's do you have when de-bayered (when the goal is perfect de-bayer)? Post adjustment levels to adjust for talent and economies. Yep, I advocate everything as careful for same effect. But my reframing theory is different. I'm not going to share my framing technique, lost a beautiful award winning composition of my friends kids this weekend because the camera wouldn't start fast enough before they moved. I was just sitting there looked and realised that was a really great shoot. But this is the truth, getting the perfect framing is extremely fine and hard to get. So, say 10% adjustment would be very handy to home in on the money shoot. Now, let's look at talent. You are not a great cinematographer. You come to edit, and with that extra 10%+ you realise you can make your shots better. You are a good cinematographer, but some shots are hard to nail. Afterwards you bring all your prime stuff in and fine tune it a little to nail those shots. You are a volume maker of production material. You get your crews to quickly work through filming footage, setting things up quickly indicating framing within the camera frame. Afterwards you get somebody with talent to fine adjust the framing or put new framing in, even using an auto framing on composition suggestion function, or to the style of chosen cinematographer/director. Your talent then eyeballs the two for the better choice and adjusts. I often find a few percent difference names the shot. Long after everybody else is off the clock and not standing around waiting at $100k an hour. Framing in not just a frame around a composition, you can adjust depth of field bokeh and lighting in post to pickup the ow talent shot a bit. What the low talent person that shot it thought was good, and what a high talent thinks is good maybe two different things, and the high talent might often be right. So the high talent post adjustment might help lower talent volume work. As 90% are probably not as good as they would like, it makes economic sense to pickup the quality a little having a talent doing 10-30 films in the time it takes to shoot one film. A good retirement plan. You are a volume maker, and try out ultra wide multiple camera setup. You get the talent to choose the guide shot from the surround multi-angle footage using computational photography to map the scene in surround 3D. Afterwards they hone the guide shot or find better angles shits and framing. Again, after everybody has gone home and are not waiting around consuming vast amounts of money. You are big budget, you use all this stuff, but you verify everything is perfect on set,l using this stuff, letting everybody hang around. But you find, for the given result, it is a little faster to achieve. So, costs maybe similar. But the low budget volume makers, save heaps. All done with careful composition choices, and corrections where needed. MishaEngel wrote: The GPU is not the problem, the CPU power needed for REDCODE is the problem, hence the collaboration between RED and NVidia to handle the de-crypte/compress/code over to the GPU instead of the CPU. Finally, some sense. Yes, it's the encryption and outdated processing techniques which were the problem with processing. You should be more concerned about why they are hiding things behind encryption? What is there there? Some strange filter patterns, or like another company's filter or cell structure? Anybody done an examination of Red's sensors surfaces out there since 2010? Three 8k sensor phones to be released. Two unveiled this month. The honor one doesn't do 8k recordings though (I suspect it's features are limited for its market segment). I think what they mean is that it requires that much power to process their 8k. Apply the same principles to 8k Braw, then it maybe only require a single CPU and a cheap card. Braw works on JPEG type compression, which usually is more supported in hardware, leading to higher speeds, and no encryption on your footage. It is good Red is working with Nvidia (like I wanted them to many tears back). They apparently have visually lossless codec technology as advanced as h268/269, but still a half to a 1/4 the compressibility my old simpler codec proposal was aimed at (the more advanced one is a truck load of effort and patents). The industry is trying to move to h266, so are generations behind. If they get Nvidia to implement that on their GPUs, it will be good for the industry. Red is trying to move to own it in the industry, but don't seem to know his to do it. But people like bluster, and mistake people with talent as bluster, and people with bluster for talent. Investors should demand talent, and sound out all noise, to discover who has the talent to go forwards. Useless having as much bluster as a vertical take off and landing rocket exploding rather than somebody with the talent to figure out how to do it safely for a mere smallest fraction of the price. One's got direction to send the other broke, the other is foolishness. This reminds me. Last week I realised my decades old proposal to design a super cheap millimeter thick handheld super games console is applicable to manufacturing low volume pocket cinema cameras a few millimeters thick, 8k 16k whatever, 3D multipoint. The trick is you don't need a high speed circuit to do most of it, so ultra low powered. I have long had interests in how to replace FPGA with in house fabbing. You could do the whole board in one hit, really cheap. They maybe able to do such a thing on an old low energy line now cheaply and do something, as a sort of onchip multi module design, where it is one thin wafer that you stick on a carrier board. On of the issues now days is that rather than making those interfaces flat on board connectors and put the females parts in the cables, they do the opposite, limiting the life of the main product sure to interface fragility. If it wasn't for that, it would he simple and cheap to run interface lines to the boards edge, making a simpler manufacture process. If it wasn't fur silicon's potencity to oxidise, you could even just halve the wafer slice come out with lines, but there is another solution, but no giid interfaces to use it on. So, yes $100 pro 8k+ pro cinema cameras, are possible with terabytes of memory onboard, pretty much now if the equipment had been setup and paid down by now (a lot of this could have been done previously, using older tech, in matter of fact, decades ago). With multipoint. On second thoughts, the sensor quality, and lens system, is the issue though. So, the main camera for $100 plus sensor and lens, unless a good sebsir can be made on board. FPGA, is a curious thing, I could make an gatearray product that holds a gate state with no power, and turn power off to all unused gate choices for a field programmable circuit approaching the power consumption and speed of a custom circuit (maybe half the speed with similar power), cheaply. Re-edit: My brain working again, I think there is an additional way to get nearly full asci speed. Speed of what chip process is another thing, are we talking about 5GHz end performance, or 500Mhz. I would like to think about 15Ghz, which might be possible given a simpler enough design (individual parts work way higher than the resulting processor, but clocking and different performance bottle necks slow it down, as some parts are just slow, and the accumulative delay in the circuits overwhelming. There is silicon transistors out there that can switch 250Ghz, for a long time, but you can't get the complex circuits using them to go that fast, and I don't know if those lab transistors are out in the wild yet, or if they are commercially viable. The ones in high energy processors are likely to be fast but not that fast. I remember, in the early or late 1990's one of the guys had a processor and using a simple transistor circuit running at 12Ghz (or was that 1.2ghz) or something to sample analogue to digital on a processor which ran at a 12th or 24th that speed (depending on which processor it was I'm thinking about and which figure). Very exciting, except that raw speed duesnt transfer through. Its like magnetic quantum cellular automata. The technology of QCA in general is supposed to be 1-2 terahertz, but the technology is looking at 500mhz+ for the chips (enough for 5cmx5cmx5mm 8k cinema camera with storage in built, even 32k, as it runs at one millionth the power of a conventional chip so you can pack a wafer full of circuitry in there in 3D). The magnetic QCA FPGA and chip technology has morphed into another technology to do with magnetic computing in general. However, it might be slow, but for many uses fine, I don't know why somebody hasn't done one yet outside the lab or outside announcing they have, would make the cameras a lot cooler. You should be able to fashion a sensor pit of thus using nano structures. However, the technology I'm looking at doing I hope a minimum of 2-5Ghz, and up to 2 THertz. But I'm looking at a further technology to greatly improve performance and efficiency, striving fur close to 100% under physics. Grain of dust sized 8k camera territory (the real truth you might not believe. Its way more than any of this other stuff). Been hitting vision nutrients after recovery, and got an eye test, and it seems I can read 4 lines below 40/40 vision (20/20 vision). Insane. I realised text that size was similar to the larger sized micro writing I could once do, which is very fine control (literally it would look look a slightly crooked line on a piece of paper). So, how poor is 20/20 vision? So, how many struggle to see fullhd. Not a reason not to strive for better which a good portion of the population can see, but maybe the senior population have even less ability. The secret, apart from the nutrients, good glasses script. Yep, the sort of real camera Red didn't make, despite requests, with a Red sensor, and claiming to be the first modular electronic camera ?? If BM could make a $5,000(AU) camera like that with that sort of correction filter and without needless modules, that would be great. Come on BM. Until one of these NAB. Am I the only person who doesn’t care for 8K at all? It just doesn’t excite me. Am I alone on this feeling?